It is a very easy pick for 17-year-old Umma when asked about her favourite food. "Biryani made by my dad. It is the best." Her father can't help but smile in pride at her response. What hides behind her father's smile is the fear that he cannot take her little daughter home. Umma was suffering from a heart condition which confined her to the hospital walls. Her family has a huge financial burden which has left them without money to take her little girl home. "She's the apple of my eye. She's the daughter I wish every father gets. I cannot even imagine a single day where she's not part of my life. Ever since she was born, I did my best to fulfil her demands. She never had many, though. She knew her father was a poor man..."
Even as an onlooker, it hurts to see this loving family subjected to so much pain. Ever since birth, Umma has been suffering from a heart condition. 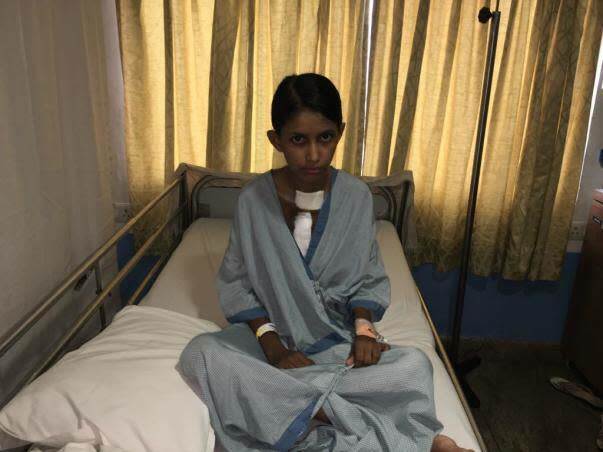 She experienced her first complex cardiac condition (Tetralogy of Fallot with small Pulmonary Arteries) for which she underwent a temporary procedure at the age of 8 years. "My baby has been suffering right from the day she was born. At the age of 8, when she underwent that procedure, we thought our troubles would come to an end. We couldn't have been more wrong", said Umma's father. At the age of 12, Umma underwent a complete correction of her condition. Although she did recover, one of her arteries had to be opened out and enlarged to allow it to grow. 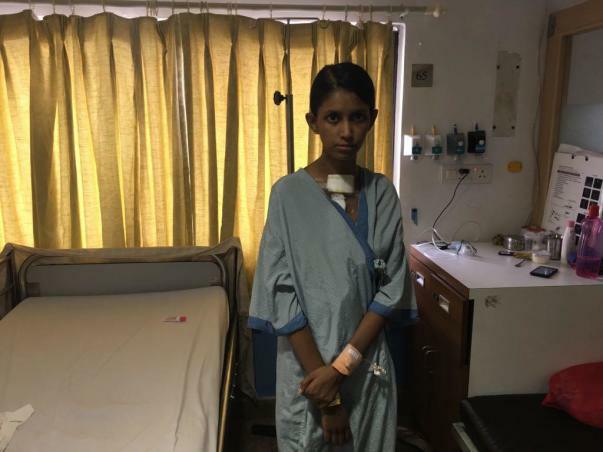 Due to this, one of her cardiac valves was cut, post which it began leaking, and at the age of 17, she had to undergo another surgery. "Thankfully, the doctors are saying this is the last time Umma has to be treated for her heart. I say, this is her rebirth", said her father. Umma was operated on 15th June and she was kept on Ventilator support. She remained there for close to 15 days as her condition kept deteriorating. "I thought I lost her. One moment she was fine, and the other she needed machine to breathe. This is why I call this her rebirth. She fought and survived when there was no hope." said her father. "I just want to take my daughter home"
While the family is happy to see their daughter recover, there's one problem that continues to plague the family. It was expected to be a week's stay at hospital at most. The estimated cost was 4 lakhs. 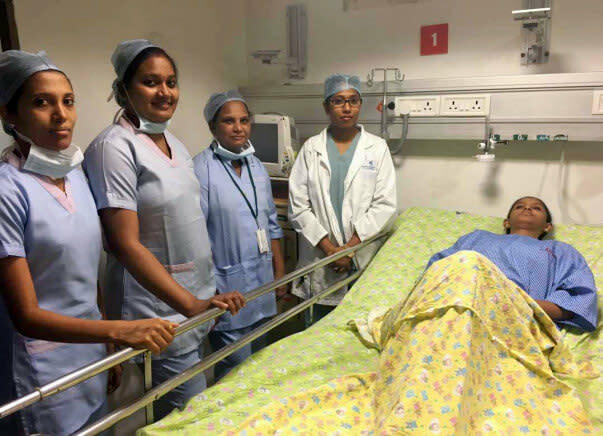 But due to complications, the medical bill now is 10 lakhs. "I work at a jeweller's shop, and makes about Rs. 10 to 12,000 a month. It is with this income that I look after my family of 5, with my two younger sons still in school. Umma is in 9th std. I don't know how will I be able to take her home now", said her father. 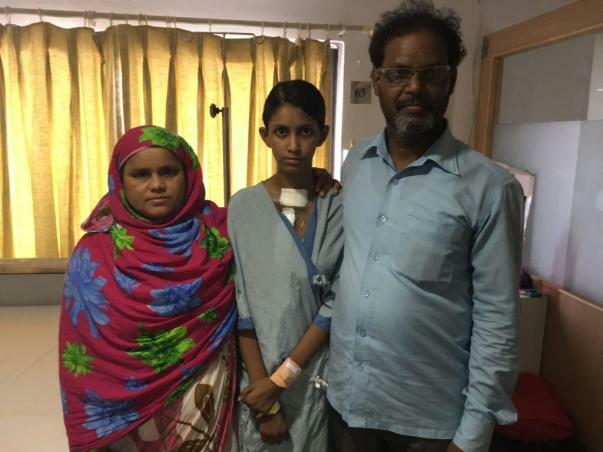 Mohammed has already spent over 6 lakhs on her previous surgery. He had collected the funds with great difficulty, having borrowed from everyone he knew. Yet, he could only pay around 2 Lakhs less to the hospital. For the past many years, almost all of Mohammed's income is spent on Umma's medical expenses. He has sent both his sons to other relatives, being unable to bear their expenses. The family needs to pay off 10 lakhs to discharge Umma from the hospital. She is ready to take on the world with her newfound life but her family is unable to arrange even a small amount. 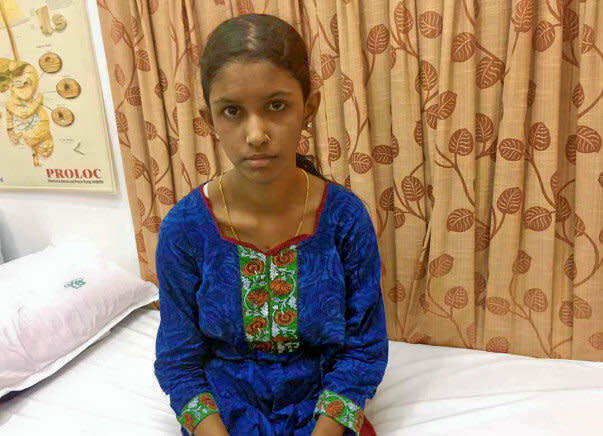 A small act of kindness can help save this young girl go home and start her life afresh. 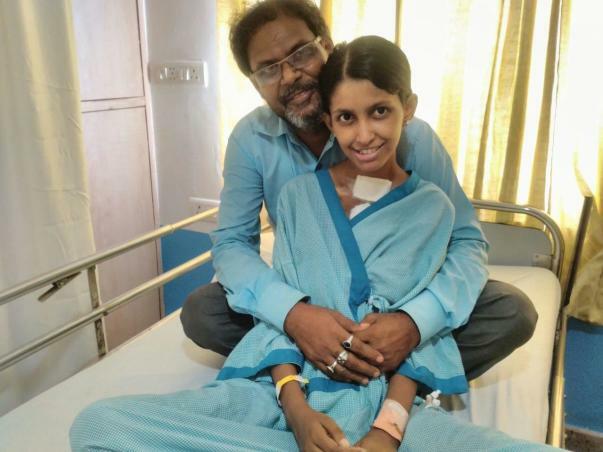 Your contribution will help this girl get back home. We have exciting news to share with you today. Umma underwent the surgery on 15th June. She was on ventilator support for 15 days. She was kept under observation for about a month. Regular test and check ups were conducted and all the results came in normal. She got discharged on 11th July. She had her first follow up yesterday. The doctors are very optimistic about her future. She has headed back home today. She will be rejoining school from Monday. All this could happen only because of your support. We thank you from the bottom of our hearts for making it possible. Thank you for all the love and support that you have shown Umma. Here is an update regarding Umma’s health. 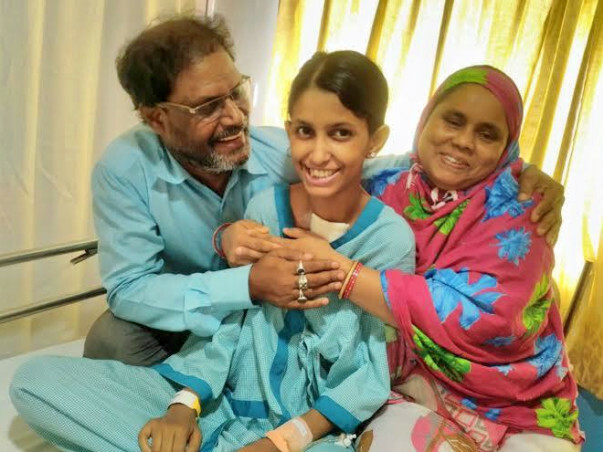 17-year old Umma first experienced a complex cardiac condition (Tetralogy of Fallot with small Pulmonary Arteries) for which she underwent a temporary procedure at the age of 8 years. She was then seen again at the age of 12. 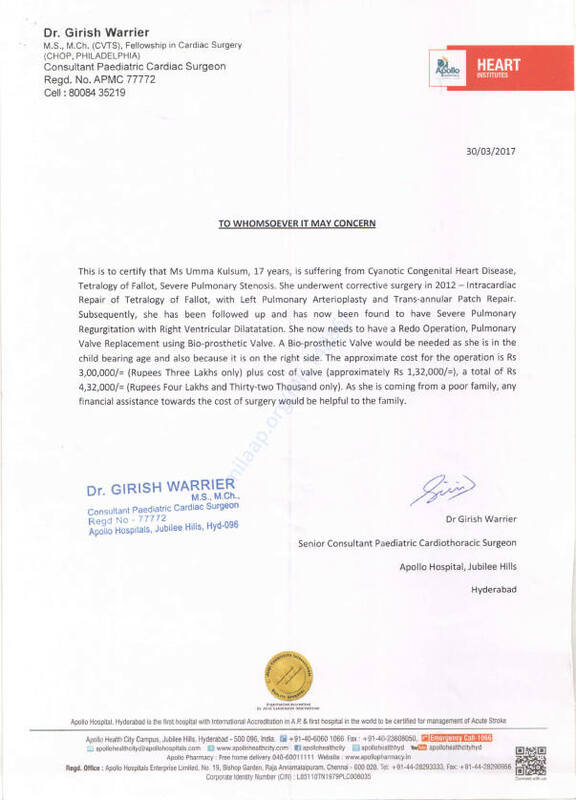 She approached Dr. Girish Warrier at Apollo Hyderabad. After evaluation she underwent a complete correction of her condition Although she did recover, one of her arteries had to be opened out and enlarged to allow it to grow. Due to this, one of her cardiac valves was cut and then it began leaking. As it stands, her heart is distending rapidly, and she requires to undergo an urgent valve replacement surgery. Umma has already been admitted to the hospital and is scheduled for the surgery tomorrow. With this surgery, Umma will grow to be a healthy individual, and hopefully be a mother one day. However, this an expensive procedure as Umma will have to undergo a tissue valve replacement which will last for 15-20 years, and can allow her to carry a child without any complications. With a mechanical valve, the damage to the child she may carry at a later point could be fatal. Umma's father is a daily wage laborer and is finding it difficult to arrange the funds require for his daughter's surgery. Without this surgery, the only alternative would be a heart transplant. But we can save the family from this today. Umma could grow to be an absolutely healthy adult having a long life ahead of her. However, her family is struggling to arrange funds for her and needs your help. Please come forward and help Umma to undergo her valve replacement surgery.